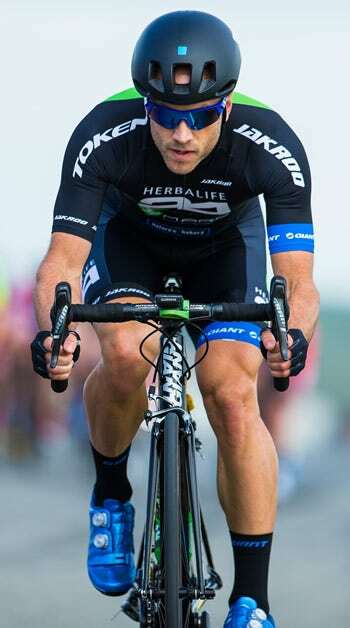 Team Herbalife presented by Marc Pro – Nature’s Bakery is a team of dedicated cyclists who have come together to pursue racing, epic rides, cycling advocacy, friendship, and teamwork. Many of us come from diverse athletic backgrounds, but one thing we have in common is that we aspire for greatness in all of our endeavors. Whether it be in community, in sport, the workplace, or a bad joke; we strive to take everything to the next level. Wahoo Fitness proudly supports Team H24 Cycling and provides KICKR Power Trainers for use during the season. Team H24 Cycling uses the KICKR for pre-race warm up and post-race cool downs. Each rider also has an individual KICKR for "at home” training sessions. With a wheel off design and super flywheel, the KICKR is engineered to produce an ultra-realistic road feel, equivalent to the inertia of an actual rider on the road. A direct power measurement at the hub provides consistent and lab accurate power readings for every grueling mile which is highly important for Team H24 Cycling level of training. Each rider uses the ELEMNT GPS bike computer to track training data and control the KICKR during indoor sessions. The team uses the TICKR heart rate monitor paired to the ELEMNT to complete the training data package. The ELEMNT GPS bike computer supports the TICKR heart rate sensor and is able to control the KICKR for indoor training sessions. The ELEMNT is able to complete the training package for riders who need a computer to use outdoors as well as indoors. Planning long team training routes is simple and sharing your ride location with others is convenient when trying to meet up with other riders or just letting loved ones know where you are. Q: Why did you choose the Wahoo Fitness? A: I love that Wahoo has put a fresh emphasis on the user experience to help utilize data while on the bike. They just make it plain easy to collect, display, and store your information. The products work seamlessly with one another, with products from other brands, and with unique 3rd party services. And the best part is that setting it all up and getting it running is completely intuitive! It's frustration free, and not once during the setup did I even consider opening up an instruction booklet. Q: How has the Wahoo KICKR, ELEMNT, and TICKR worked together to benefit your training? A: I hop on my training bike that's set up on the KICKR trainer for a ride in the ergo mode. I use my smartphone (iPhone) to choose my workout in TrainerRoad. I choose a workout where I warm up, do 15 minutes at 300 watts, 5 minutes recovery at 200 watts, 15 more minutes at 300 watts, and then I cool down. Then I start pedaling and the trainer automatically sets the correct resistance for my workout, independent of the cadence I'm riding. My SRAM Quarq Powermeter and TICKR heart rate monitor feed my information to the ELEMNT on my handlebars. This is the same ELEMNT that I initially set up and paired with my devices using my iPhone rather than a clunky on board screen set up system. I complete my workout, not distracted by getting the technology to work, but just pedaling. When I finish the workout, I'm able to seamlessly update the workout to Strava. "This sponsorship fits in perfectly with our team culture and current sponsors, as all of our riders are long-term users of technology while riding and active users of Strava to plan and analyze their training rides."